Last year at the Telegraph and Argus Bradford Means Business Awards Airedale Springs was proudly awarded the Employer of The Year after Brian Cooper an employee with 48 years continuous services nominated the Company. The judges wanted to know about the Company who in the opinion of its staff, provided the best working environment, best people-development practices, best skills and training programs and demonstrated genuine care for the health and well-being of its workforce. Airedale Springs has always been a caring family business looking after its employees. Nearly 50% have been working here for over 25 years or more, and receiving Awards such as Employer of The Year recognises the hard work that all of the staff and management team have put into the Company over the last 70 years. 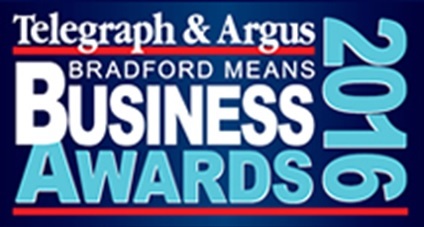 This year for the Telegraph and Argus Bradford Means Business Awards Airedale Springs decided to nominate itself for the Manufacturer of the Year and The Small and Medium Enterprise of the Year categories. We are delighted to announce that we are a finalist in both categories. The winners of the awards will be announced and presented at a glittering black tie Gala Awards Dinner Held at the Aagrah Midpoint, Thornbury, Bradford on the 11th June.